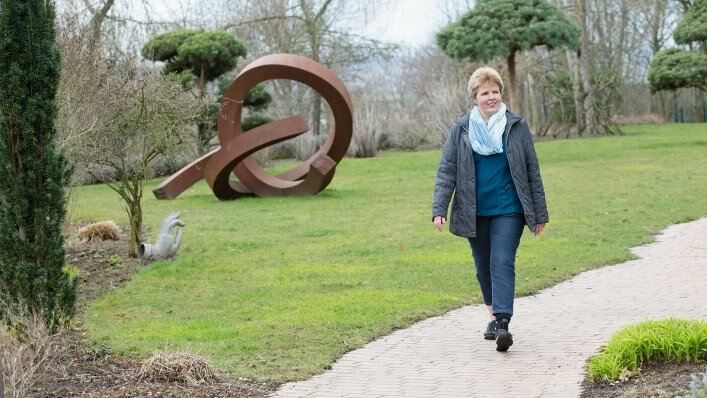 The GoOn acts as an entry-level option for users with minor limitations of the dorsiflexion musculature, helping them to become familiar with wearing a device and the benefits it offers. The AFO helps hold the user to hold their foot in a neutral position. It makes walking safer and prevents tripping. What's more, the GoOn can also be worn without shoes. Thanks to the spring on the arch of the foot, the sole of the shoe remains untouched. This allows the user to wear practically any lace-up shoe, and even wear shoes with different heel heights. 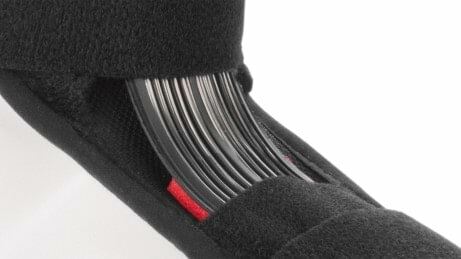 The spring filaments mean that the lifting force can be adjusted as required: the foot is gently guided and held in a torsionally stable manner. Dorsiflexion is achieved by spring elements made of individual filaments. 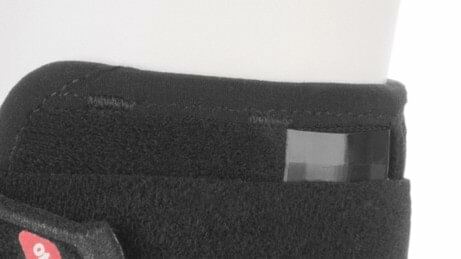 A cushion minimises pressure on the arch of the foot. Pads and straps can be easily changed and washed. The front support attached to the foot prevents the device from migrating. This AFO helps the user to hold their foot in a neutral position, walk more safely and avoid tripping. Soft materials for wearer comfort. 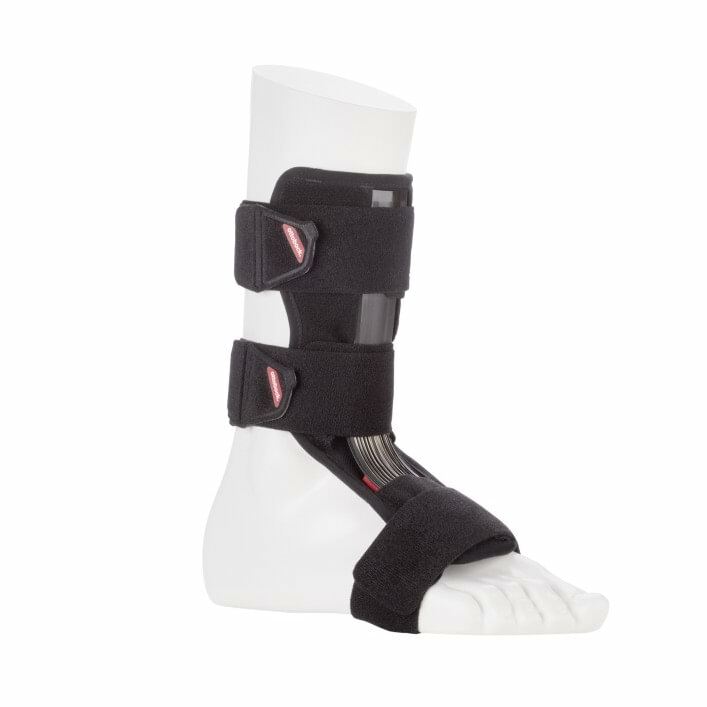 Slipping is prevented by the front support on the orthosis, which connects directly to the foot. You can wear the GoOn with or without a shoe since the sole remains untouched by the orthosis. This allows the user to wear practically any lace-up shoe, and even wear shoes with different heel heights. 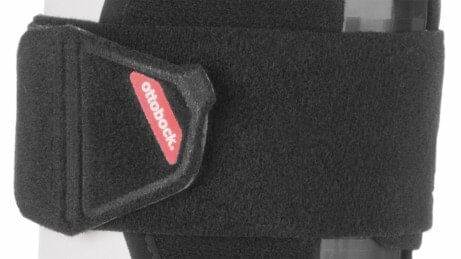 If the orthosis is worn without footwear, an additional hook-and-loop closure is required. 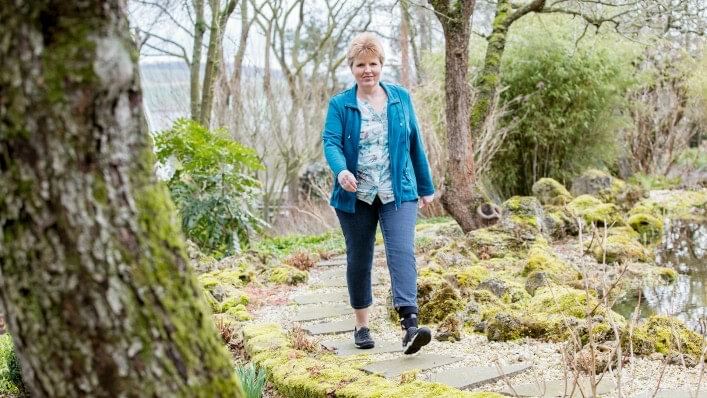 The orthosis can be put on quickly and easily, making it straightforward to use.